The FSD-504HP has a total PoE budget of 60 watts, which is an ideal solution to meeting the demand for sufficient PoE power for network applications. 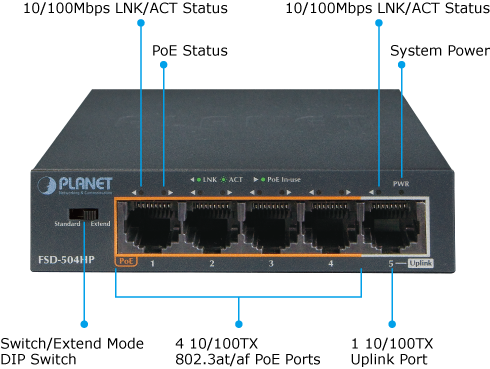 The four 802.3at/af PoE ports provide PoE power injector function which is able to drive two IEEE 802.3at compliant powered devices or four IEEE 802.3af compliant powered devices. 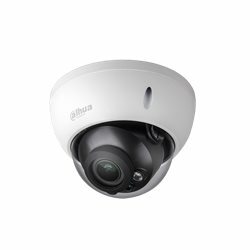 The FSD-504HP also provides a simple, cost-effective and non-blocking wire-speed performance. 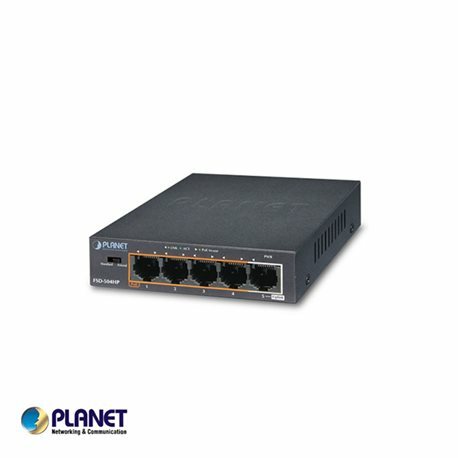 It comes with a palm-size metal housing, suitable for the desktop deployment of SOHO or home-use network environment. 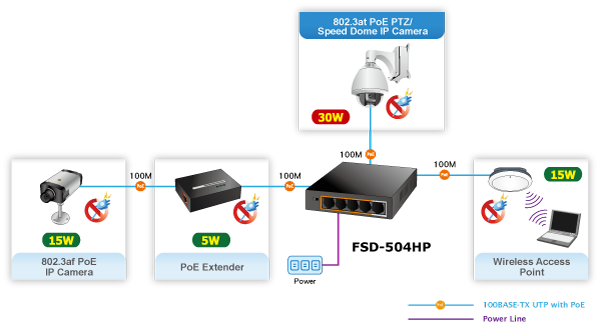 Targeting the growing popular IP surveillance applications, the FSD-504HP 802.3at/af PoE Switch is also positioned as a Surveillance Switch for quick and easy PoE IP camera deployment with power feeding. 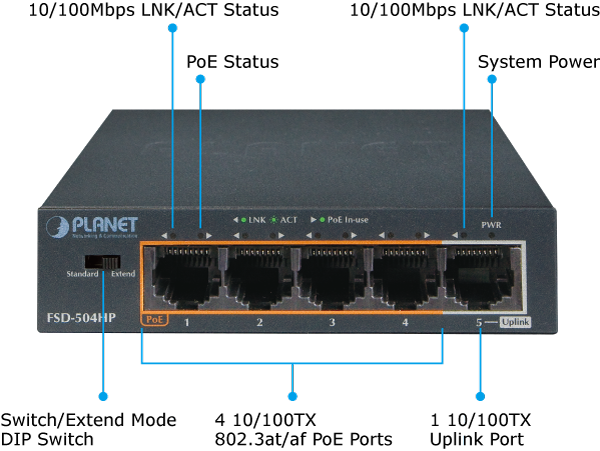 The FSD-504HP supports both 802.3at and 802.3af PoE standards along with four 10/100BASE-TX ports featuring up to 30 watts per RJ45 copper interface, and one extra Fast Ethernet TP interface supporting high-speed transmission of surveillance images and videos. The built-in solid DIP switch provides “Standard” and “Extend” operation modes. 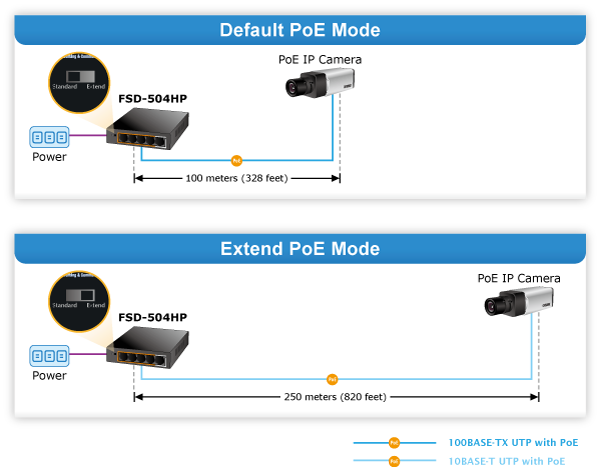 The FSD-504HP operates as a normal IEEE 802.at/af PoE Switch in the “Standard” operation mode. 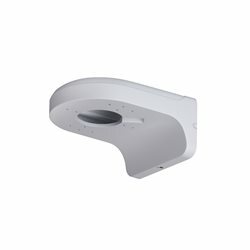 In the “Extend” operation mode, the FSD-504HP operates on a per-port basis at 10Mbps duplex operation but can support 30-watt PoE power output over a distance of up to 250 meters overcoming the 100m limit on Ethernet UTP cable. 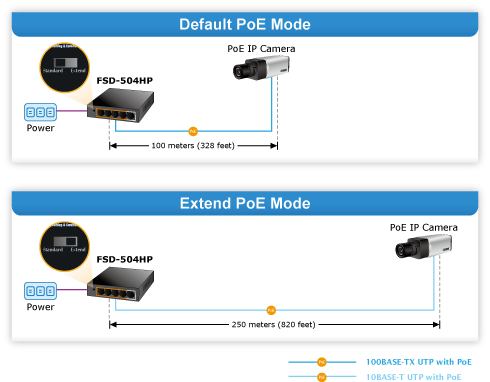 With this brand-new feature, the FSD-504HP provides an additional solution for 802.3at/af PoE distance extension, thus saving the cost of Ethernet cable installation. Its VLAN isolation function isolates ports so as to prevent broadcast storm and defend DHCP spoofing in the “Extend” operation mode. With data switching and power over Ethernet integrated into one unit, the FSD-504HP reduces cabling requirements and eliminates the need for electrical outlets on the wall, ceiling or any unreachable place. A wire that carries both data and power can lower the installation costs, simplify the installation effort and eliminate the need for electricians or extension cords. 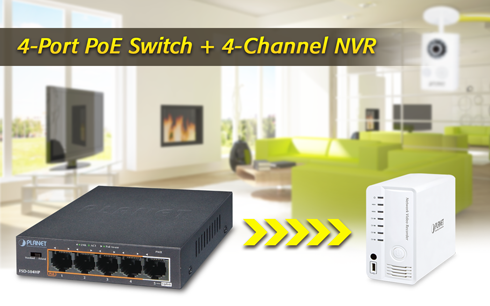 With 4 PoE interfaces, the FSD-504HP is ideal for small businesses and workgroups making the deployment of the PoE facility including wireless access points, IP-based surveillance camera and IP phones in any places easier, more efficient and more cost-effective.